Don't waste time during the June/July holidays. This is the perfect opportunity for you - matriculants to investigate the higher education options for next year. 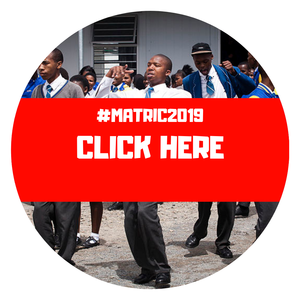 The June/July holidays provide the perfect opportunity for matriculants to investigate their higher education options for next year, and get their applications in before the avalanche of enrolment forms hit administrators’ desks later in the year, an education expert says. Nola Payne, Head of Faculty: Information Technology at The Independent Institute of Education, says there are huge benefits in applying early, not least of them being able to put this stressful endeavour behind you and focus on the very important upcoming exams, as well as knowing early on if you need to improve your results or reconsider your options. “Applications for acceptance into higher education have now opened, and applying early means that these applicants will soon know whether they’re accepted or not. If not, they can widen their search and still have time to consider their options. Payne notes that Grade 11 final results are used for provisional acceptance, and if matrics apply now it means they will be able to focus on their exams without further worries about next year. But many learners will not yet know where or even what they want to study, and Payne says it is particularly important for these learners to spend their holidays productively by investigating their options. Leaving the matter and hoping for some flash of inspiration to bring clarity later in the year will lead to anxiety and analysis paralysis when you can least afford it, she says.